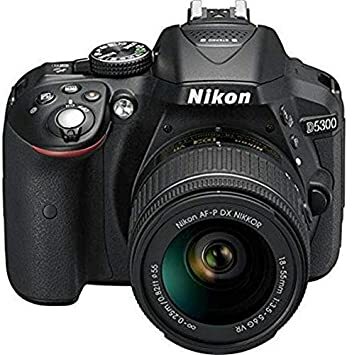 The lowest price of Nikon D5300 DSLR Camera (Body with AF-P DX NIKKOR 18-55 mm f/3.5-5.6G VR Kit) ( Black ) is at Amazon where is it is for INR 33855. This price is INR 32374 lower than the other price for the product. The prices for the product change across variants. 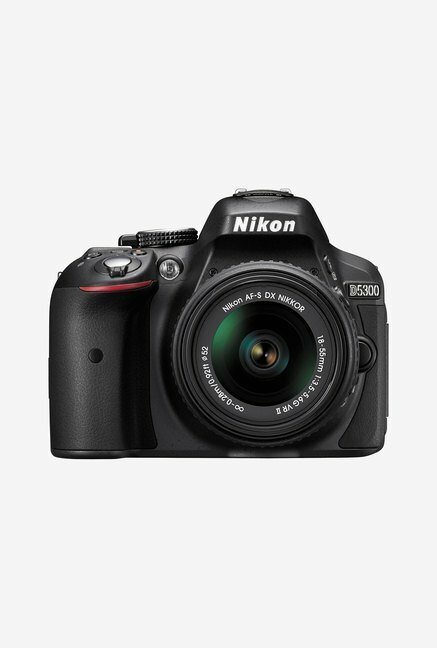 The price for Nikon D5300 DSLR Camera (Body with AF-P DX NIKKOR 18-55 mm f/3.5-5.6G VR Kit) ( Black ) is valid across Bangalore, Hyderabad, Chennai, Mumbai, Delhi, Pune and Kolkata. 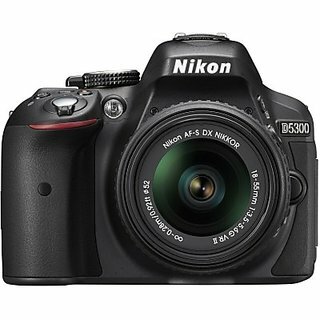 The Nikon D5300 DSLR Camera (Body with AF-P DX NIKKOR 18-55 mm f/3.5-5.6G VR Kit) ( Black ) is available at best price of INR 33855 on Amazon. After using more then four month I am in love with it and definitely you will also be. Features those were impressive and helpful in day to day photography. 1. Vari-angle TFT Monitor : you need not be on your knees even for ground/ child shots. 2. Absence of Low Pass Filter : resultant highly sharp images 3. In built Wi-Fi : Control this camera with smart phone. Live view, focus and click images with mobile. Instant download to mobile directly from camera. No need to go back to your system to upload pics on social site. just click and upload. 4. Best color capture in images 5. It works best with Nikon AF-S 50mm prime lens. Best for portraits. (You can simply skip buying to kit lens i.e. Nikon 18-55mm cause once you work with prime lens you will never gonna use kit lens) 6. 24 MP Sensor : Even after cropping images in ur system it gives superb results cause 24MP is more then we need. So once you capture a moment it help in retouch. I got to know that not all camera sold by Flipkart are entertained for warranty due to camera serial number not find genuine. So please register your camera with company and check your warranty. If any body found any issue let post here for other to be careful. This is what was communicated to me today by Nikon customer care.